They say a picture says a thousand words, but some things just end up looking like what they are and really don’t add too much art, life or the universe. Trying to make a pot of Homemade Mayo look anything other than a pot of whitish sauce really doesn’t work. My case in point is my Hollandaise Sauce. See a small bowl of yellow sauce. 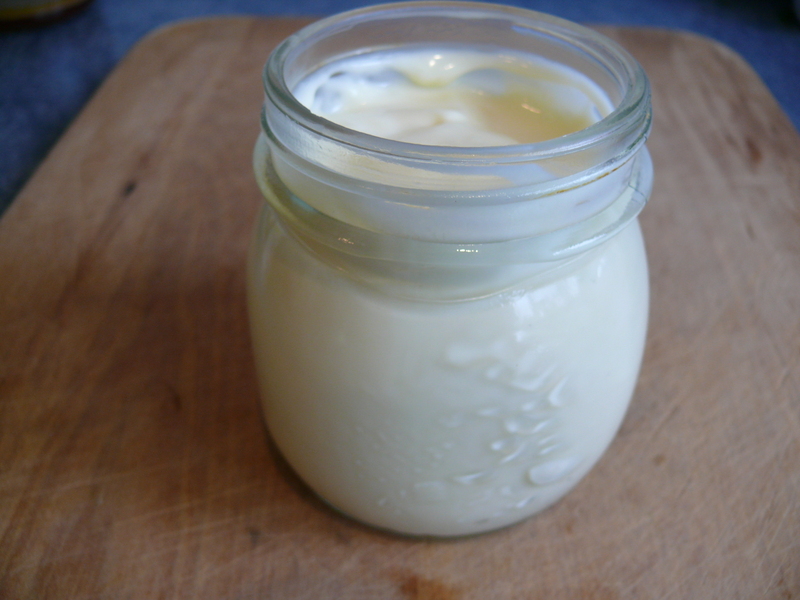 So don’t blame me for this but here you go, a jar of white mayo – tastes delish though! Mustard Mayo – add one heaped tbsp of your favourite mustard. This recipe can be very easily doubled and as long as you are careful incorporating the oil you will be fine. I use this mayonnaise for a number of salad recipes, aioli and for dips – I’d love to hear how you use it! Great, thanks Mike! And I can highly recommend adding freshly chopped basil to the mayo if you use it for your Cauliflower BLT!